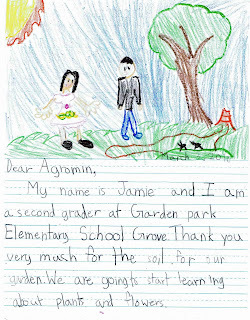 Agromin Blog: Kids at Garden Park Elementary School Say Thanks! 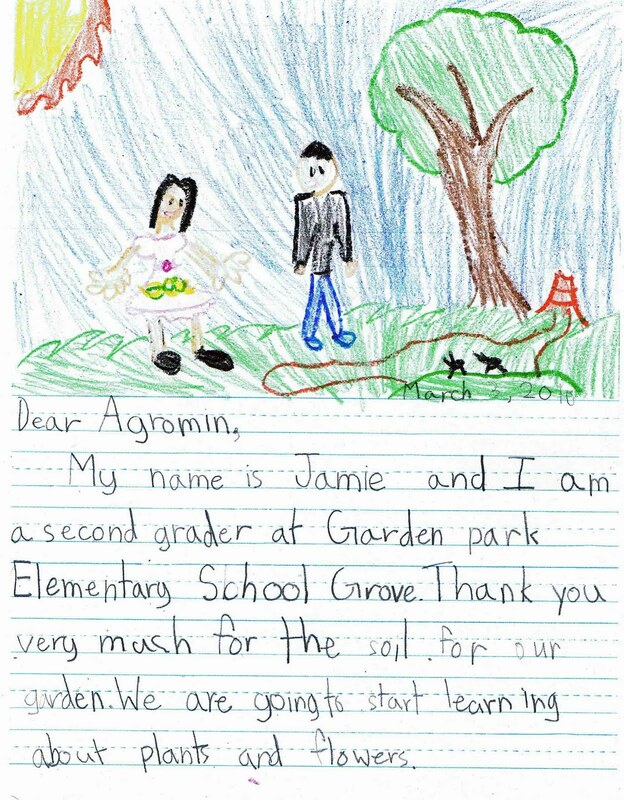 Second graders from Garden Park Elementary School in Garden Grove wrote letters to say thanks to Agromin for donating three tons of compost for their school garden. Students and parents planted vegetable and flower gardens on school grounds as part of a program to teach kids about gardening and respect for the earth. The students are responsible for maintaining the gardens throughout the school year.